Please note that 2020 will be the last year Danielle will lead yoga teacher trainings. The 200-hour program will not be offered after January 2019, and enrollment for the 300-hour program will remain open only throughout 2019 to ensure all students graduate. 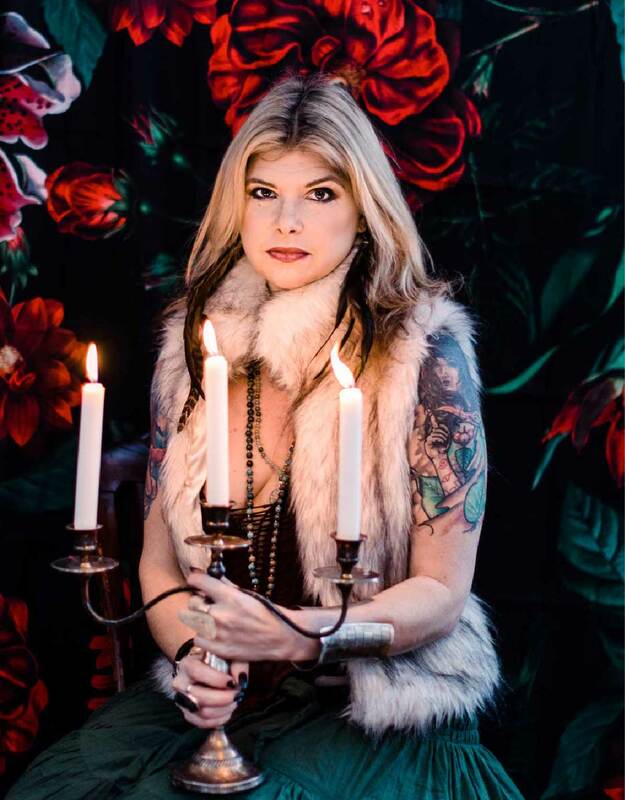 Registration opens for the Hag Witchery Teacher Training: Becoming the Flame-Tender beginning 8/1/2019 with a strong registration preference for those who have enrolled in the Hag Ways Apprenticeship or completed the 300-hour program with Danielle (See below). This modern age calls many of us to tend the flames of our living altars, to resist surrendering to apathy and, instead, cultivate our own individual Craft of gathering, storytelling, ritual, movement alchemy, and spell-work. The Hag Witchery Teacher Training is an in-person program (no online component) beginning in Spring 2020 with curriculum focused strongly on The Hag Witchery Teacher Training is an in-person program beginning in Spring 2020 with curriculum focused strongly on guiding accessible ceremonies and rituals based on nature’s rhthyms, facilitating personal mythwork for circles and groups, guiding group movement and conscious body prayers, holding space for creative work, facilitating practical magick and crafting sacred spaces, and guiding pathworking experiences for groups and circles. Registration opens on Lughnassadh, August 1st 2019. This is a comprehensive facilitator training for those seeking to hold space for various types of groups, including women’s circles, young covens, retreat gatherings, professional collectives, sacred movement classes, moon circles, and other spiritually inclined gatherings. Students must complete all three intensives within two years as well as the “Flame-Tender Project,” a personally designed incarnation of their work in the training, such as the development of a regular ritual circle, group class, activist group, or healing circle. The intensives can be taken in any order and will always be held in Spring, Summer, and Autumn. Exact dates TBA. There is space for 13 flame-tenders in each intensive. When you apply (registration opens 8/1/19), you will be asked which intensives you plan to attend. You are able to pay the per-immersion payments monthly or break them up as you wish, but they must be paid in full 6 weeks before the immersion. You are able to transfer funds paid to another immersion within the same year up until 6 weeks before the immersion starts. After this deadline, you will not be able to move your tuition to another immersion except under very unique circumstances. There is a strong preference for current or past apprentices in the teacher training as well as those who have completed the 300-hour training with Danielle in the past. Registration will open on 8/1 and continue on a rolling basis until all intensives are full. If you would like to receive a “priority enrollment” invitation, please email us at Info@DanielleDulsky.Com and we will send these invitations out in mid-July 2019 along with the application.